Got an idea for how to improve Outlook? Share it with us. Or vote on other people's ideas. Come join the discussion. Pick the Outlook that matches your experience. Outlook is available on many different devices. Find yours. If you open an internet browser and sign in to Outlook.com with a Microsoft account. If you have Office 2016 for Mac installed on your computer. If you have Office 2016 for Windows installed on your PC. If you open an internet browser to sign into email with your work or school account. Great. Let’s get your idea to the right people. 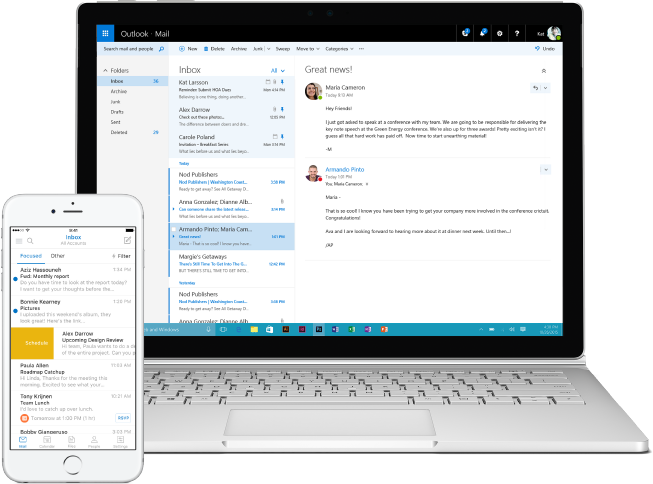 Pick the Outlook experience that matches you.